If you’re looking for a travel guide to Scotland then you’ve come to the right place as I’ve collated all the best travel blogger’s guides in one place! Here it is, the ultimate travel blogger’s guide to Scotland. Scotland might be small but there are a surprising number of things to do, see and visit while you’re there. You already know that travel blogs are my go-to whenever I’m planning a trip because I like to hear about real experiences, from real people! Guidebooks can be helpful but generally, I find travel blogs more inspiring in the initial planning stages as they contain the personal element that really helps to bring a place to life in your mind. The only problem is that there are now so many good travel blogs containing Scotland travel itineraries, lists of things to do in Scotland and road trip guides that it can be hard to know where to start researching for your trip. To help you out, I’ve pulled together what I think are some of the best travel blog posts about visiting Scotland to create the ultimate ‘Travel Blogger’s Guide to Scotland’. Are you unsure on whether or not you should visit Scotland? You shouldn’t be! Scotland has beautiful landscapes, an interesting history, points of interest everywhere you turn and is perfect for either a countryside getaway or a city break. If you still need a bit of convincing though, these 37 pictures of Scotland’s beautiful landscapes from Hannah and Thom of That Adventurer should do the trick. And if those photos of Scotland didn’t do the trick, here are 20 more from Ashley of Ashley Abroad that I’m certain will help to inspire you to begin planning your trip to Scotland. If for some reason neither of those posts helped to convince you that you should visit Scotland, then maybe this one will. It should come as no surprise that Scotland’s beautiful, variable landscapes have been featured in many-a-film. Here are 9 films that were shot in Scotland that should inspire you to visit the country for the first time. If you’re a bit lost as to where to go in Scotland, this post, containing even more travel blogger tips and a downloadable Edinburgh itinerary, will be a great starting point. From tips on which Scottish cities to visit, to where to go to explore the beauty of the great outdoors in Scotland, this post has it all. It should come as no surprise that, for a country so highly commended for its beauty, Scotland has a seemingly endless list of unique places to stay while you’re there. In this guide to Scotland, Kate from Love from, Scotland, has compiled a list of what she thinks are the best places to stay in Scotland. And I have to admit, they all look pretty incredible! Scotland is home to a wealth of beautiful mountainous and coastal scenery, so it makes sense that it is also home to a number of fantastic campsites. If camping is your thing and you’d like to truly experience Scotland’s natural attractions, then here are Ewan’s top 10 Scottish campsites. 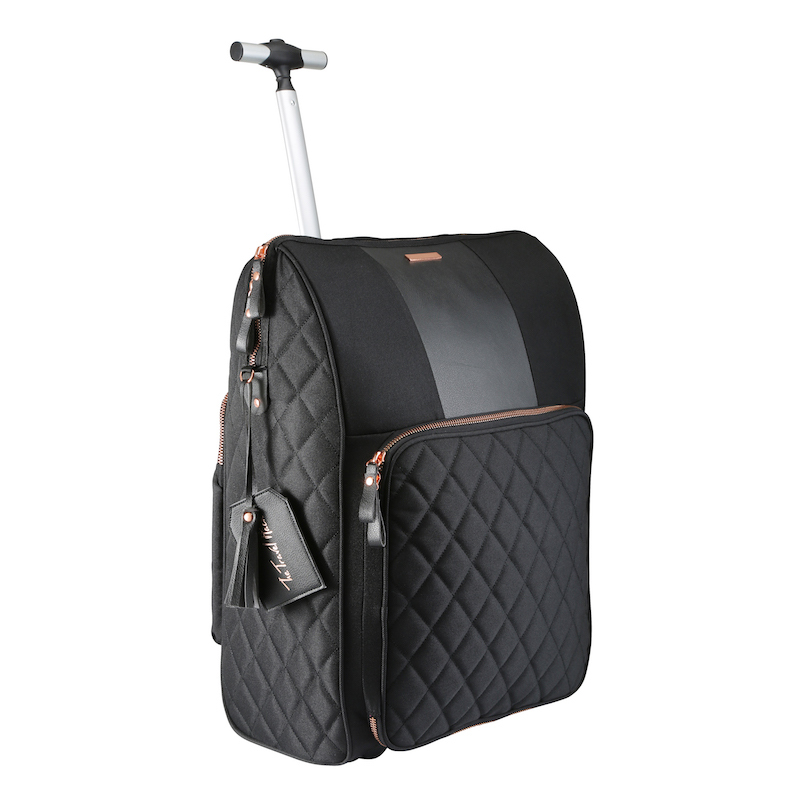 The Scottish weather system is somewhat unreliable, so knowing what to pack for a trip to Scotland can be quite difficult. Just knowing what to wear day-to-day when you live there can be difficult, let alone when you’re trying to work out what to pack into a suitcase. Which is why Sonja has put together an incredibly detailed and useful year-round guide on what to wear in Scotland. When it comes to listing the pretty towns and cities in Scotland, I could be here all day. Which is equally fantastic and terrible. On the one-hand having so many places to visit means that you’ll never be bored while you’re in Scotland but it can also make deciding exactly what to do in your limited time there incredibly difficult. To help you out a bit, Yaya and Lloyd of Hand Luggage Only have managed to narrow their list down to 10 of the prettiest towns and cities that they think you should definitely make time for when you’re visiting Scotland. It can be easy to visit a place and come away only having seen the ‘touristy’ areas. Which is fine, they are touristy for a reason after-all so they are obviously worth visiting. However, if you’d like to see some of the lesser known areas, then you need to read this guide containing 22 unique and unusual things to do in Scotland. If you’ve got a full 7 days to explore Scotland in then you should start off with this Scottish travel itinerary by Rachel. The post is divided into seven sections and is perfect for anyone wanting to create their own self-guided tour of Scotland. Scotland might be small but there is so much to see and do there that it can be difficult to narrow down your choices into a concise itinerary. Luckily for you, the Wanderlust Crew have done the hard work for you. Their ‘perfect Scotland itinerary’ post includes tips on preparing for your trip to Scotland, advice for travelling around Scotland and a 7-day Scottish itinerary. If you’d like a bit more of a formal guide to visiting Scotland, then this post is the one for you. Jen of the Trusted Traveller has put together a comprehensive guide that will make visiting Scotland a breeze. 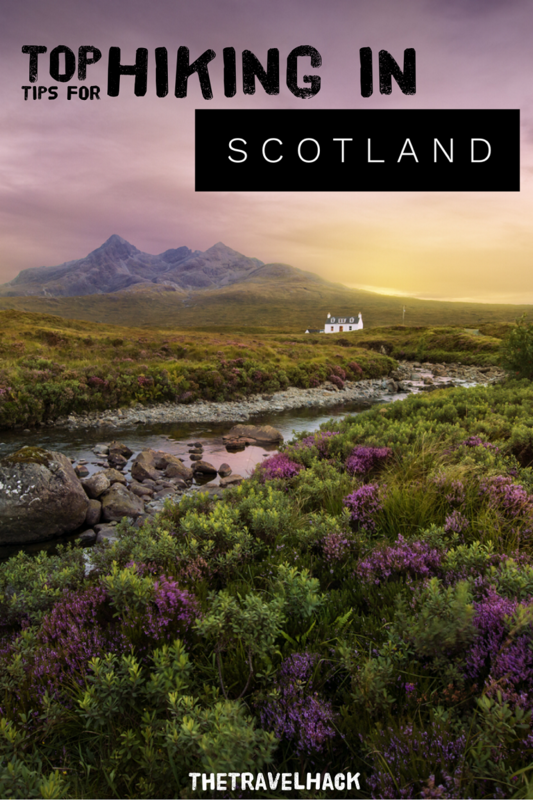 With clear sections that cover everything from travel advice to money tips, eating options and accommodation suggestions, Jen has covered just about everything in her regularly updated Scotland Guide. 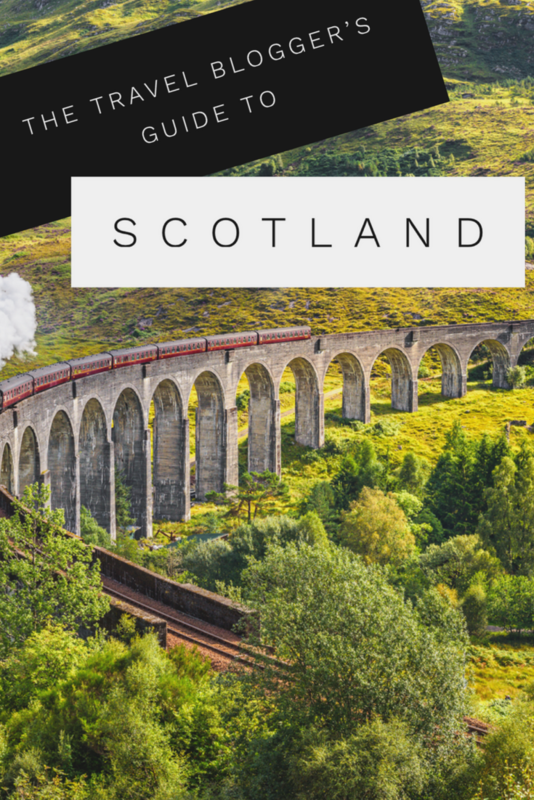 This ‘ultimate Scotland travel guide’ by Kara is split into five sections that contain food and drink, accommodation, travel suggestions and ideas on things to do in Loch Lomond, The Isles, Loch Ness, St Andrews and Edinburgh. Kara has also included a wonderful 10-minute vlog in the post which gives you a great insight into the areas she is talking about. If you’re feeling a bit overwhelmed with all of the suggestions then maybe have a read through this post before going back through the others. Kathi has put together a lengthy post, jam-packed with tips on how to plan a trip to Scotland. 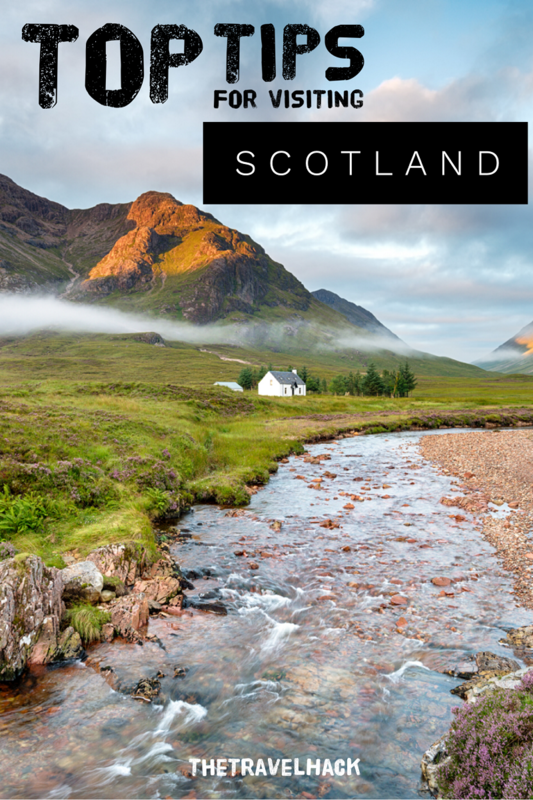 Her guide contains advice on the best time to visit Scotland, how long you should spend there, hiking tips, accommodation suggestions and, if you’re feeling ready for them, some 3 and 7-day travel itineraries. Scotland is home to a huge number of castles, so it would be a shame not to see some of them on your trip. 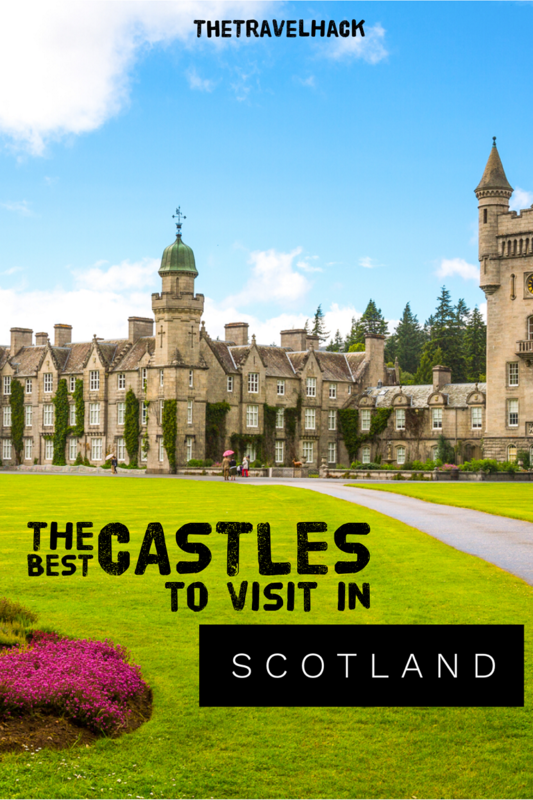 This guide contains tips on visiting a selection of the best castles in Scotland. 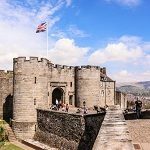 Whether you’d like to see a fairytale castle or one that is rich with royal history, there is bound to be a castle on this list that you’d like to visit while you’re in Scotland. Visiting a castle during the day is one thing but being able to stay overnight is a whole other experience. This post by Tori contains information on 7 castles in Scotland that you can actually stay in, to help make your time in Scotland as memorable as can be. Lloyd and Yaya are back again but this time they ’re sharing their tips on the 14 fairy tale castles that you must visit in Scotland. 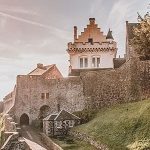 If you’re planning to visit some of Scotland’s gorgeous castles then this list, consisting of everything from the most photographed castle in Scotland, Eilean Donan to the Queen’s summer home, Balmoral, there are plenty of picturesque castles to keep you busy on your trip around Scotland. With gorgeous scenery, pretty villages and historic castles to visit along the way, a road trip is the perfect way to truly get to see Scotland. 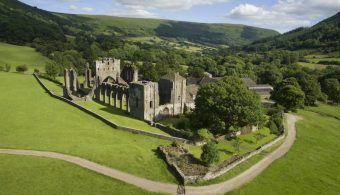 Of course, there are plenty of popular places to visit on your way but if you’d like to visit some of the more off-beat areas of beauty then you need to check out this post! The North Coast 500 is a scenic route that takes you through the North Coast of Scotland and both starts and ends at Inverness Castle. The route is just over 500 miles long, is dubbed ‘Scotland’s Route 66’ and has been named as one of the world’s top coastal drives. If you’d like to see it for yourself, this 10-day driving itinerary from The Planet D will help you to make the most out of your road trip through the Highlands. Scotland has so much to offer, so a road trip is one of the best ways to see as much as possible in a short amount of time. 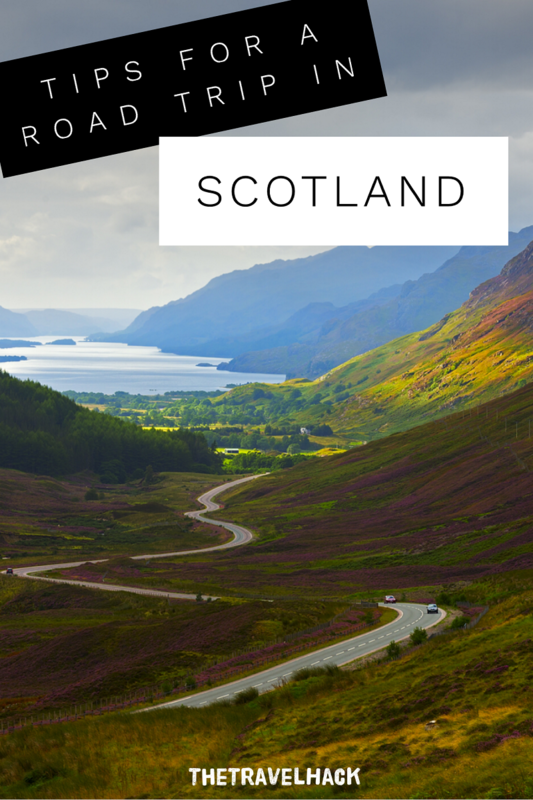 If you are lucky enough to have 9 days spare then this road trip itinerary that includes Scottish favourites such as Glasgow, Glencoe, Isle of Skye and Edinburgh will be perfect for you. The Isle of Skye is one of Scotland’s most popular destinations and it’s easy to see why. The only downside is that, depending on where you’re staying in Scotland, it can be quite a long drive. But, if you can add in a few stops at some of Scotland’s most scenic pitstops then you can make a road trip to the Isle of Skye part of your sightseeing! This post contains tips on how to make the most out of your Isle of Skye road trip, with sights to see on the way and driving tips included too. There are so many road trips that you can take while in Scotland, but Sonja’s favourite is the drive from Edinburgh to Glencoe. She’s put together a guide for anyone wishing to take a road trip to Glencoe, including her driving tips, pit stop suggestions and some renting advice so that more of you can see exactly why she loves this Scottish road trip so much. The North Coast 500 is perhaps Scotland’s most well-known road trip and for good reason, it’s areas of natural beauty are not to be rivalled with. However, Andrew and Emily from travel blog Along Dusty Roads believe that there are 11 things you should know before setting off on a road trip along the North Coast 500. Mountains that are over 3000ft in Scotland are known as Munros and with 282 to climb, there is plenty to keep you busy if you’re looking to spend some of your time hiking in Scotland. If you fancy trying to climb a Munro in Scotland than this guide to the 10 best Scottish Munros for beginners by Kate will be a great place to start. The Highlands are picture-perfect, so it would be a shame to visit Scotland and to not see some of the rugged landscape on foot. This guide to hiking the Scottish Highlands has tips on everything from which Munros to tackle as a beginner to the best track to follow if you’re a Harry Potter fan. Scotland has everything from mountains, to forest trails, coastal trails and long-distance routes to follow so it can be hard to pinpoint which walk you should start with. Yaya and Lloyd have put together 10 of the best hikes in Scotland, perfect for those wanting to explore more of Scotland on foot. Edinburgh is full of hidden gems, popular tourist attractions and endless places to eat. In fact, there is so much to do in the Scottish city that Gemma and Craig have managed to put together a list containing a whopping 61 suggestions on things to do in Edinburgh. The post contains tips from fellow travellers, locals, travel bloggers, and businesses to help keep you busy on your Scottish holiday. With so much to do in Edinburgh, it can feel pointless to head to the capital for a whistle-stop trip. However, Zena has proven here in her 2-day Edinburgh itinerary that it is possible to get the most out of the city in a short amount of time. No one knows a place better than a local. Kate has lived in Edinburgh for over 20 years and is keen to share some of the Scottish spirit that is present in Edinburgh. In her guide, you’ll find her inside opinion on what to see, where to eat and drink and what to buy while you’re visiting Edinburgh. 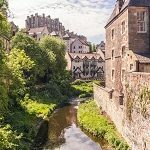 In this helpful post, Ashley has put together a whopping 61 things for you to do in Edinburgh, including where to eat and drink, the city’s most popular attractions and a few unique things that you can only see and do in Edinburgh. 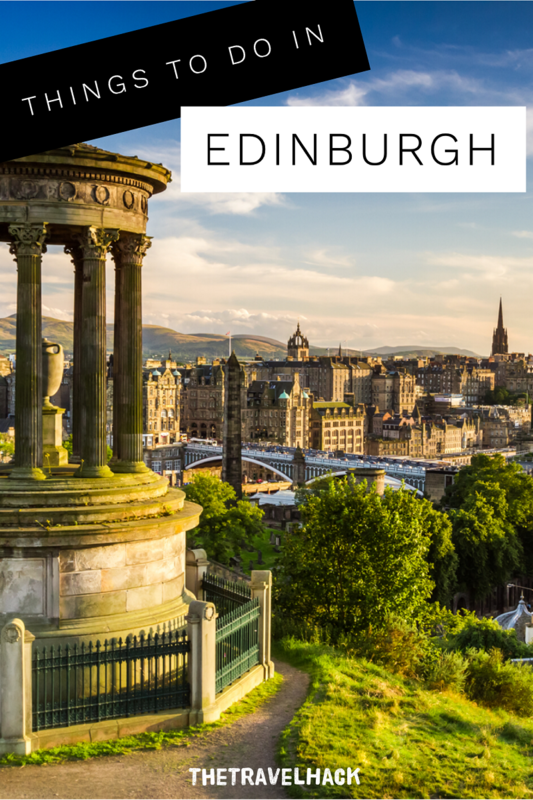 It can sometimes be tough to plan a weekend trip to a city as it can feel like there is too much to fit into a few short days, but Sophie has proven that it is possible in this fantastic 3-day itinerary to Edinburgh. Edinburgh is home to a whole host of attractions, areas of natural beauty and, for those searching for a bit of nightlife, it also plays host to some fantastic bars. From cool bars to whiskey houses, Edinburgh has lots to offer, but here are 11 of the best bars to visit in Edinburgh. All Harry Potter fans will be aware of the significance of Edinburgh. Booking onto a Harry Potter trail tour is a great way to bring the stories to life while you’re visiting Edinburgh. In this post, Susan shares her thoughts on the free 90-minute Harry Potter Edinburgh Tour she went on while she was visiting the Scottish city. If you haven’t got much time to spare for the capital of the Highlands, then this short, 3-day weekend itinerary to Inverness will help you to see the best things that the area has to offer. While Rebecca doesn’t go into much detail on the city itself, she does share some things to do around Inverness. Inverness is often used as the start and finish point for those travelling the North Coast 500, but as it is seen as more of a stop-off point than a destination, it is often overlooked by visitors. Which is a real shame, as the city has lots to offer. 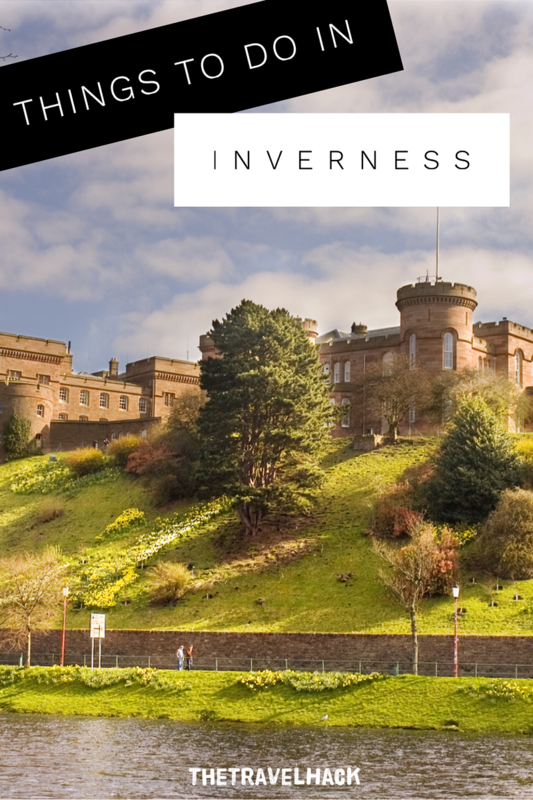 To help you to decide whether you want to dedicate more of your time to Inverness, Dave and Deb have put together a list of the top 8 things to do in Inverness. They’ve even finished the post off with a video showcasing some of Inverness’ best features. If you’re heading to Inverness for a long weekend, then Amanda from A Dangerous Business has got you covered with her 3-day Inverness travel itinerary. She shares her tips on exploring Inverness and the surrounding areas during a weekend break. Crowned as the unofficial capital of the Highlands, Inverness has more than just natural beauty to attract its visitors with. It also has a rich history and culture that can be enjoyed and explored during a weekend trip to Inverness. In this post, Heather is sharing her thoughts and experiences on a few of the things to do in Inverness if you’re a culture lover. 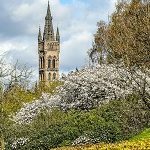 Everyone should visit Glasgow at least once in their lifetime, it’s a city that continues to surprise visitors with its charm and it is definitely worth finding the time for in your Scottish itinerary. This first timers guide to Glasgow is full of recommendations on the best things to do in Glasgow and should definitely help to convince you to visit this often-under-appreciated Scottish city! City trips can quickly become quite expensive, so it’s always great to find out that a city you want to visit has a huge number of free things to do. In fact, Glasgow is one of Scotland’s best budget-friendly cities and, as the city is more geared to locals than visitors, many of its main attractions are open to the public for free! To get you started, here are 45 free things to do in Glasgow. Glasgow is more often than not simply used as a stopover for those travelling up to the Highlands, which is a real shame as it’s a city that has got so much to offer. This 24 hour Glasgow itinerary by Kathi of Watch Me See is for anyone who finds themselves on a tight schedule but that still wants to see the best of Glasgow in a day. If you’ve got a little bit more time to spare in Glasgow then this 2 day Glasgow itinerary will help you to explore the city like a local! Nicole has even added in a few suggestions towards the end of the post on things to do in Glasgow if you’re able to spend more than 2 days in the city. Glasgow is a lively town that is home to several creative cocktail bars. If you’re feeling brave and you’re ready to check out some of Glasgow’s cocktail bars, this guide will help you to work your way around the 6 best bars in the city. With new restaurants, street food restaurants and coffee shops popping up all over the city, Glasgow is slowly becoming the go-to place for foodies. If you love to experience a city through its food scene then this guide to the food scene in Glasgow’s East End will get you off to a good start. The best kind of guides to any city are the ones written by locals. They know the ins and outs of the city and can share tips that tourists and visitors simply won’t be aware of. In this post, Gemma is sharing a bit of inside information on her hometown, in her guide to visiting Glasgow. Thank you so much for including several of my posts in this list! There is such a wealth of great blogs about Scotland out there 🙂 If anyone needs help planning a trip to Scotland, feel free to get in touch – I offer travel consultation specifically for Scotland and as a local and a travel blogger, I’d love to help you have an unforgettable holiday!